Championships — The GAP conducts more than 160 events for players of all ages and skill levels. within its territory. Its tournament schedule runs from April to October. In addition to administering local competitions, GAP also administers qualifying events for 20 USGA championships. The GAP App — The GAP App is the GAP’s Mobile Application. It is available on both Apple and Android platforms. BMW GAP Team Matches — Only available to full Member Clubs, the BMW GAP Team Matches are held on three Sundays in April with more than 5,600 players representing 347 teams from 157 Member Clubs. Interclub Matches, as they were originally called, served as the basis for the founding of the Association, and today, just like then, serve as a source of club pride. eRevisions — Get your GAP/GHIN Handicap in a click by signing up for GAP’s eRevision service. All Members can take advantage of this benefit by logging into your My GAP Locker; clicking on the subscriptions tab and then checking “yes” for eRevision emails. eRevisions are delivered on the 1st and 15th of every month. 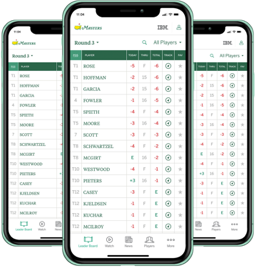 On-line score posting — Individuals can maintain their handicap on-line from anywhere in the world through My GAP Locker or The GAP App, the Association’s free mobile application. A Member Club must sign up to use this service. GAP Magazine — The GAP Magazine is the official publication of GAP. The GAP Magazine provides extensive features and tournament coverage along with news and notes from the game of golf in the Philadelphia area. Individual Members are eligible to receive a complimentary copy of the Magazine by contacting the Golf Office or by managing the subscriptions tab located in My GAP Locker. Golf Digest — All members are eligible to receive a complimentary Golf Digest subscription. Individual Members are eligible to receive a complimentary copy of the magazine by contacting the Golf office or by managing the subscriptions tab located in My GAP Locker. Global Golf Post — Global Golf Post is the first designed for digital weekly golf news publication in the world. Individual Members are eligible to receive a complimentary copy of the magazine by contacting the Golf Office or by managing the subscriptions tab located in My GAP Locker. Meetings and Seminars — The Association offers various seminars, including the Club Rules Seminar, for a continuing education on the Rules of Golf; the College Golf Seminar, for Junior golfers interested in playing golf at the collegiate level and the Presidents’ Council, for issues affecting clubs. Winter Series — The Winter Series is an off-season tournament sequence conducted in the fall and winter/early spring open to all players. Typically, there are six events in each portion.